NYC Neurofeedback Trainer Alison Pepper, LCSW who also works as amindfulness-based psychotherapist explains how neurofeedback training can help support a healthy lifestyle and promote wellness. What is the Best Support For A Healthy Lifestyle? Here's how Neurofeedback can help you cope with everyday stressors! Training with the NeurOptimal® system can help with your emotional balance, getting more restful sleep to mental clarity. Neurofeedback has totally changed my life. I've struggled with having low energy and mood for 6 years on and off. This winter I was not feeling so good when I started neurofeedback. Within the first couple of sessions I could tell there was a shift, and now after 18 or so sessions, I feel like myself and have not felt this stable in my adult life. I'm so grateful for this service and wish more people knew about it! 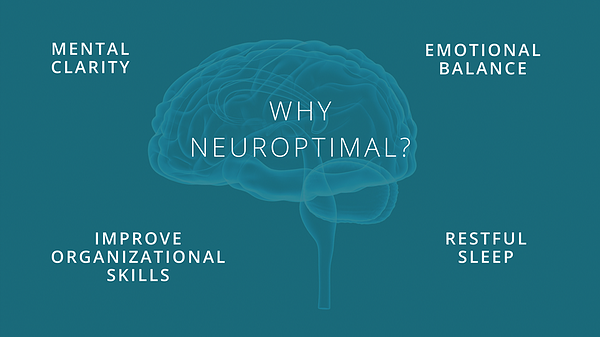 To learn a bit more about NeurOptimal, click here to learn more about your training options; schedule a session, rent a home system and the neurofeedback products for sale. Alison Pepper is a NYC Neurofeedback Trainer. She's also a bilingual therapist for over five years (fluent in both English and Spanish), SIFI certified, and a meditation teacher.